The ongoing debate over mammography screening is based on a “series of re-analyses of the same, predominantly outdated trials.” The first mammography trial began more than 50 years ago and the last trial was in 1991. They cited a recent study published in British Medical Journal (BMJ)3 — one of the largest and longest studies of mammography to date — involving 90,000 women followed for 25 years. 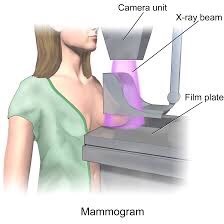 It found that mammograms have absolutely NO impact on breast cancer mortality. “If we assume that screening reduces breast cancer mortality by 15% and that overdiagnosis and overtreatment is at 30%, it means that for every 2000 women invited for screening throughout 10 years, one will avoid dying of breast cancer and 10 healthy women, who would not have been diagnosed if there had not been screening, will be treated unnecessarily. The experts also said they were “disconcerted” by the profound discrepancy between women’s perceptions of mammography benefits and the actual benefits. The sad reality of course, is that they can’t. Many women are still unaware that the science backing the health benefits of mammograms is sorely lacking. Instead of being told the truth, women are guilt-tripped into thinking that skipping their yearly mammogram is the height of irresponsibility. It can be hard to stand your ground against such tactics. After all, you expect health professionals to know what they’re talking about, and to give you the best advice possible. When it comes to cancer prevention, however, many doctors are just as confused and manipulated as the average person on the street because of the relentless industry and media propaganda that downplays or ignores research that dramatically contradicts their profit-based agenda. Indeed, mounting research shows that more women are being harmed by regular mammograms than are saved by them. In light of such facts, avoiding an annual mammogram is hardly an irresponsible act. Ditto for saying “no thanks” to 3D tomosynthesis, which exposes you to an even greater amount of cancer-causing radiation for virtually no additional benefit. Please understand that there are other screening options, each with their own strengths and weaknesses, and you have a right to utilize those options. Also remember that in order to truly avoid breast cancer, you need to focus your attention on actual prevention and not just early detection.